Every day, the Skiline Photopoint captures hundreds of photos of your guests enjoying the beautiful landscape. Shared again and again with family and friends, these pictures will travel around the world via social media. With the Skiline Photopoint, each photo taken is of excellent quality and is automatically branded with your message. 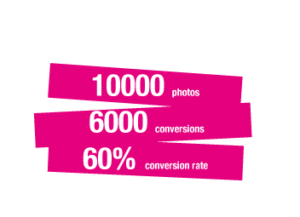 This way, up to 30,000 photos become a long-lasting advertising medium with an enormous reach and advertising impact. Using the Photopoint is a breeze: Guests can easily activate the camera with their ski ticket. 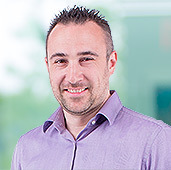 Using their ski ticket number, they can then quickly retrieve their high-quality images online. This ensures both user friendliness and optimum data protection. Instead of simple webcams, Skiline offers the latest SLR technology with a large high-resolution sensor – so each photo is absolutely perfect! PERFECT PICTURES IN EVERY SITUATION. With the flash unit, high-quality pictures are ensured even under difficult lighting conditions. The high-quality casing protects the Photopoint from even the most challenging weather conditions. Requires 230V power supply & network connection; weight: 90kg; mounting on spot footing. 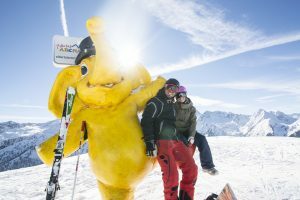 This is pure “gamification” on the mountain: The goal of the Photo Safari is to take a picture at all Photopoints throughout the ski resort by taking certain lifts and slopes. Participants will be eager to reach 100% and thereby explore even the outermost slope at the resort. An added benefi t: Besides motivating guests, the Photo Safari also helps regulate the fl ow of visitors. In addition to the branded photos, guests can retrieve a digital photo album as a souvenir, which can also be ordered in print form. A perfect keepsake to remember a great experience! Photopoints are perfect for staging the ski area: Positioned at a branded vantage point, the atmospheric images will travel around the world!